Composer. Nationality: American. Born: Nicholas Rozsa in Budapest, Hungary, 18 April 1907. Education: Studied the violin under Lajos Berkovits, and the viola and piano; attended secondary schools in Budapest; studied under Hermann Grabner and Theodor Kroyer at the Conservatory and University in Leipzig, diplomas 1929. Career: Composer from 1915; composer of orchestra works; 1932–35—lived in Paris, and in London, 1935–40; 1937—first film score, for Knight without Armour ; 1940—settled in Hollywood; contracts with Paramount and MGM; 1945—Professor of Composition, University of Southern California, Los Angeles. Awards: Academy Awards for Spellbound , 1945; A Double Life , 1947; Ben-Hur , 1959; César award for Providence , 1977. Died: 27 July 1995. Double Life (autobiography), New York, 1982.
" Quo Vadis ," in Film/TV Music , November-December 1951. "Music from Historical Films," in Film/TV Music , March-April 1952.
" Julius Caesar ," in Film/TV Music , September-October 1953. Cinema TV Today (London), 20 January 1973. Film Music Notebook (Calabasas, California), vol. 2, no. 4, 1976. Films and Filming (London), May and June 1977. In Film Score , edited by Tony Thomas, South Brunswick, New Jersey, 1979. National Film Theatre booklet (London), March 1980. Télérama (Paris), 15–21 March 1980. Ecran Fantastique (Paris), no. 18, 1981. 24 Images (Longueuil, Quebec), April 1982. New Zealand Film Music Bulletin (Invercargill), November 1982. Palmer, Christopher, Miklos Rozsa: A Sketch of His Life and Work , London, 1974. Sternfeld, Frederick W., "The Strange Music of Martha Ivers," in Hollywood Quarterly , April, 1947. Films in Review (New York), June-July 1959. Doeckel, Ken, in Films in Review (New York), November 1963. Films in Review (New York), November 1965. Films and Filming (London), June 1970. Palmer, Christopher, in Performing Right (London), May 1971. Thomas, Tony, in Music for the Movies , South Brunswick, New Jersey, 1973. Films in Review (New York), June-July 1974. Caps, John, in Film Music Notebook (Calabasas, California), vol. 2, no. 1, 1976. Films in Review (New York), January 1976. Films in Review (New York), August-September 1976. Dale, S.S., in The Strand (London), January 1977. Ecran Fantastique (Paris), no. 4, 1978. Dirigido por . . . (Barcelona), February 1978. Palmer, Christopher, in Monthly Film Bulletin (London), March 1978. "Rozsa Supplement" in Score (Lelystad, Netherlands), April 1979. Films in Review (New York), November 1979. Films in Review (New York), February 1980. Films in Review (New York), June-July 1980. National Film Theatre booklet (London), June 1982. Lacombe, Alain, in Hollywood , Paris, 1983. New Zealand Film Music Bulletin (Invercargill), May 1983. New Zealand Film Music Bulletin (Invercargill), November 1984. New Zealand Film Music Bulletin (Invercargill), February 1985. New Zealand Film Music Bulletin (Invercargill), May 1985. Films in Review (New York), January-February 1990. Palmer, Christopher, in The Composer in Hollywood , New York, 1990. Cinema Nuovo (Bari), January-February 1991. Cook, P., "The sound track," in Films in Review , March/April 1992. Horton, R., "Music man," in Film Comment , November/December 1995. Obituary in The New York Times , 29 July 1995. Obituary in Variety (New York), 31 July 1995. David, Peter, "Symphonic Cinema: Émigré Composers in Hollywood," in New York , 6 November 1995. Eder, Bruce, in Films in Review (New York), March-April 1996. Obituary in Cue Sheet (Hollywood), April 1996. Barbour, Alan, " Videosyncracy ," in Films in Review , May-June 1996. Teachout, Terry, "I Heard it at the Movies," in Commentary , November 1996. 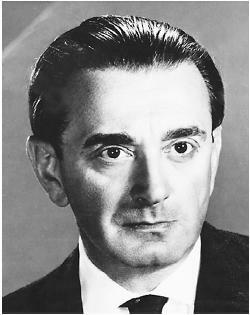 The extensive composing career of Miklos Rozsa can be divided into a number of distinct periods based on associations with particular studios or genres. Yet despite the diversity of his work Rozsa's scores have a readily identifiable style and consistency. The composer's later scores in a number of different genres have a similar structure and texture and are marked by characteristic techniques Rozsa has developed and modified throughout his career. Rozsa's first period began with his association with the Korda brothers, for whom he scored a number of opulent period and fantasy productions. These scores are distinguished by a richness of texture and variety of instrumentation ranging from a sweeping romanticism to orchestration in the fantasy films reminiscent of Rimsky-Korsakov. In addition to an opportunity for dynamic effects and oriental stylings, the scores for films such as The Thief of Bagdad and The Jungle Book allowed Rozsa to include lyrical operatic song melodies which reappeared in variations throughout the scores. The Jungle Book score was founded on a series of motifs which were later presented in a concert suite with narration designed largely as a children's piece, one of the many points at which his film and concert work (referred to in his autobiography as his "double life") would converge. The work with Korda resulted in Rozsa's migration to Hollywood, where a contract with Paramount led to an association with Billy Wilder. Rozsa's score for Wilder's Five Graves to Cairo served to bridge the gap between his work in films centered around exotic locales and his move into more serious psychological melodramas. Rozsa became a prominent contributor to the rising film noir style with his work for Wilder's Double Indemnity and The Lost Weekend , and the music was characterized by brooding and unsentimentalized themes, driving rhythms which give way abruptly to jolting chords and a use of strings as much for disturbing as for romantic effect. The Lost Weekend also introduced the therimin to provide a wailing accompaniment for the alcoholic protagonist's delirium states and the instrument became a favorite for psychological subjects, employed by Rozsa himself for The Red House and in one of his best-remembered scores, for Hitchcock's Spellbound . Such works demonstrated that film music could be serious and contemporary while still remaining within the symphonic tradition, and further evidence was provided by Rozsa's association with the producer Mark Hellinger. The scores for The Killers , The Naked City , and Brute Force contain a raw urban power that perfectly complements the realistic visual emphasis of film noir . The emotionalism and power evident in such works was also apparent in a series of scores that in many other respects are the opposite of Rozsa's contemporary psychological period. The composer's contract with MGM in the late 1940s led to his work in historical and religious pictures which would continue for over a decade. Rather than being regarded as a step back to the Korda period, Rozsa's scores for the MGM epics can be seen as a kind of progression into a recognizable style, combining the exoticism of the Korda scores with the strong emotional drive of the film noir period. The scores also provided Rozsa with an opportunity to delve into musical antiquity, striving for realism in works like Quo Vadis , Ivanhoe , and El Cid . Consequently, the scores are characterized by an array of fanfares, marches, and dance pieces woven into a richly textured orchestral tapestry. Rozsa's work for these epics often included ascending choral passages combined with orchestra for strong emotional impact. Despite Rozsa's typecasting as a composer of such scores, the MGM period also provided opportunities for lighter, more contemporary subjects as well as chances for experimentation, as in the combination of romanticism and impressionism provided for Lust for Life . With a greater emphasis given to popular modern styles in the 1960s, Rozsa became less active in films and turned his attention more and more to concert works. His famous Violin Concerto, commissioned by Jascha Heifetz in 1953, served as the inspiration for Billy Wilder's The Private Life of Sherlock Holmes and led to Rozsa's reunion with the director. For the Holmes film Rozsa rearranged and varied principal themes of the concerto as well as providing new material, and the deliberately nostalgic style of both film and score were repeated in Fedora , with Wilder's reflection on the passing of Hollywood's Golden Age matched by Rozsa's overtly symphonic accompaniment. Rozsa's most recent period in film scoring was characterized not by identification with a specific studio or genre but by a distinct musical style which has been applied to a broad range of subjects. The Power , for example, contains a hard-driving theme played on a cimbalom which is later modified for more conventional presentation by strings, including a florid "gypsy" arrangement for solo violin. The dynamic percussive passages and soaring love theme are characteristic of many later scores by Rozsa, which juxtapose driving rhythms against lyrical, often waltz-like passages. Many of these works represent deliberate modifications of Rozsa's past achievements. Time after Time draws on the exotic orchestrations of previous fantasy works in places, while a straightforward presentation of the film noir style is provided for the Steve Martin comedy Dead Men Don't Wear Plaid . Collectively, Rozsa's last works represent not redundancy or repetition but rather a consistency which marks a distinctive personal musical approach. Despite association with a number of directors and studios and in a variety of genres Rozsa was an individual stylist in both his film and concert works and was one of a small group of composers to gain recognition and respect in both capacities. This puzzles me, I have never heard that his born name was Nicholas. As much as I know his born name was also Miklos or Miklós to be precise. His son's name is Nicholas though (not sure about spelling).